Have a look at her reviews after joining our Program. Obesity is a chronic disease where there is accumulation of excess adipose tissue in the body leading to more weight than the desirable. Excess body weight is a hindrance, leading to breathlessness on moderate exertion and predisposes a person to diseases like atherosclerosis , high blood pressure, stroke, diabetes, osteoarthritis etc. Changes in human diet and activity pattern have had drastic effects on our health status , and overweight and obesity have emerged as major problems worldwide. It has drastically changed body composition, body shape and nutritional and health outcomes. Obesity is multifaceted health problem that is the result of complex interactions of genes , environment and lifestyle. One has often heard the phrases' the longer the belt, the shorter the life span. " In order to weight loss and fat content we are providing Dietary counselling or consultation . It should be actually replaced with Education in our system. Our discussions go even beyond the routine calorie counting, portion size, tracking weight protocol, Instead you track down your eating habits, food blunders, cheats, behavior towards food in different situations, sleeping pattern, and workout etc. We will educate you how food and lifestyle is affecting your health, performance and quality of life. We simply work at witnessing your journey in to a fitter, leaner, more grooming and more aware individual who understands that fitness (and weight loss too) can only be achieved by dancing your brain on tune of stomach. weight loss is your effort that we count and results follow, without being chased. If the right type of food is consumed at right time with positive mind bent, then body reacts positively only. A body requires nature's store house of energy and healing power i.e. nourishing food, herbs (nature's medicines) a healthy and positive bent of mind and appropriate life style modifications. The Weight Management Program (weight loss) offers customized weight management or weight loss plans including weight loss techniques, dietary plans, physical activities, behavior modification as well as educational follow ups . Research has shown that combining a variety of weight loss and management techniques increases a person's chance of long-term success in weight management/ weight loss. Our goal is to help you in adapting and maintaining a healthy eating habits & lifestyle along with knowledge of various foods and recipes for weight loss. In our weight loss program, the methods suggested by us are purely medicine free. This is a comprehensive weight loss program that emphasizes healthful food, kitchen herbs, super foods ,modified lifestyle, inclusion of physical activities, psychological support to promote long-term weight loss and health management. Regular implementation of dietary plans. Formal assessment of weight and follow-up including review and analysis of the food journal, nutrition education and physical activity. The weight loss program / Obesity Management is suitable for all ages (except infants and toddlers). Regular Program can be started beyond 10 years of age. Below 10 years only OTC (one time consultation ) is sufficient. We design a customized Weight Loss/ fat loss program . The weight loss program is designed by our experts after analyzing case history (BMI, Waist hip ratio, nutrition history, family history & lifestyle) and complete profile of biochemical parameters. After thorough analysis we advise you nutrition plans , behavior and exercise changes that are practical and easy to implement. (a) You will start by filling a 7-day diet recall sheet which will help us figure out your existing eating pattern, food likes- dislikes, nutrient & calorie intake. Also an activity recall for those 7 days so that we know exactly what your energy expenditure is and how it changes during the day. (b) You will then get a pre-consultation documents(Do's and Don'ts and Health Mantras ) and starts you off with the basic lifestyle modifications. This ensures you can make the best use of your time spent before your first diet plan. Your first appointment will last anywhere between 1 to 1.5 hours. This appointment can be in person or on phone, as per your preference and location. A meal plan and an exercise prescription will be prepared with your full involvement. This will ensure that foods which you like eating are part of the meal plan. The whole idea is to cultivate an eating pattern that you can stay with for the rest of your life. A little bit of planning, discipline and determination can make the process of change very easy. After this you will have an interaction once every week at your designated time and your meal plans will be altered once every weeks, or as necessary. Throughout you will have phone and email support for all of your queries. Also, for all special occasions like travel, holiday, wedding, festivals, etc that fall during your program your meal plan will be customized. We always need to maintain our achievements. And so we provide an effective and fruitful way to maintain your achievement towards your target weight. Our team of experts will slowly and gradually convert your do not into occasional dos. You will be provided cheat days. You will learn how to maintain the lost weight/ weight loss during tough times. Regardless of the duration of your program we maintain a lifelong relation with you and provide you support anytime you need. We will follow you up weekly for one month after completion of program for queries and suggestions. You will feel connected still with the program and will build up confidence to maintain. So now is the time to put your present image behind and get some amazing in your life. It's time to feel young, fit and lively from within. And you bet, it'll show you in your smile, in your confidence, in your transformed shape, through your glowing skin, in the way you will walk, talk and the way people will look at you. Nutritionist in Rohini, Delhi Register Now! Welcome to e-clinic of Dr. Richa Garg one of the best dietician in Rohini, Delhi. 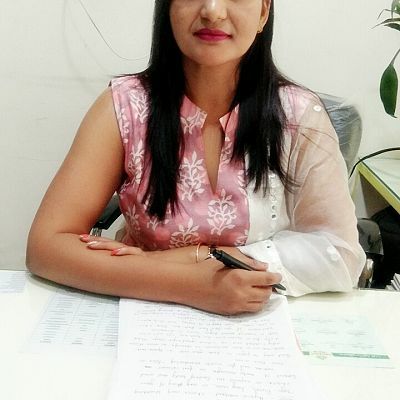 Dr. Richa Garg provides Online diet consultation, customised diet plan over email for services like: Weight Loss, Fat loss, Weight Gain Program, Cholesterol Management Program, Diabetes Management (diabetic diet), Therapeutic Programs in Specific Disorder, Healthy Heart Diet, Diet for overweight Kids, Diet for Nursing Mothers, Diet during Pregnancy.